Shoot for the stars and rescue the Princess in this gravity-based physics puzzler! You always dreamed of being an astronaut, but the galaxy isn't always friendly to young spacefarers like yourself. All you wanted to do was sneak out, play some tricks on the Earthlings, and get back in bed before anyone noticed… but you and the Princess were attacked by space pirates! Just like your parents warned you about. Now, the Princess has been captured, and your ship is damaged. You're going to be in big trouble. Luckily, the Princess left behind a trail of stars to help find her, and you know some gravitational physics. 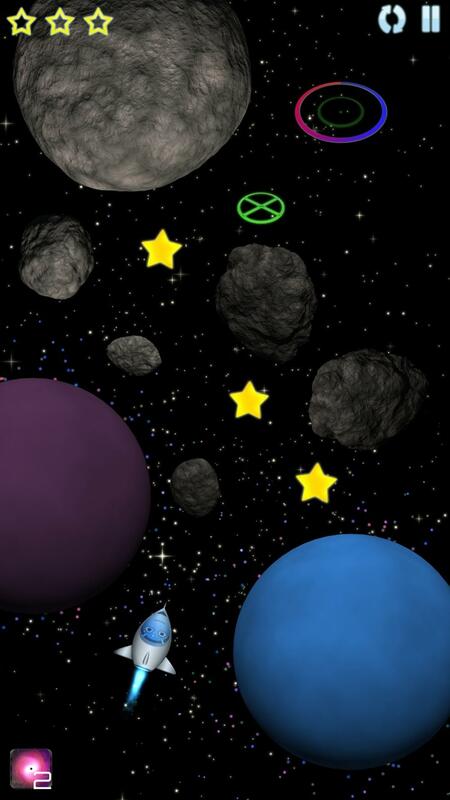 Use the gravity of the planets to navigate the hazards of space and rescue the Princess!